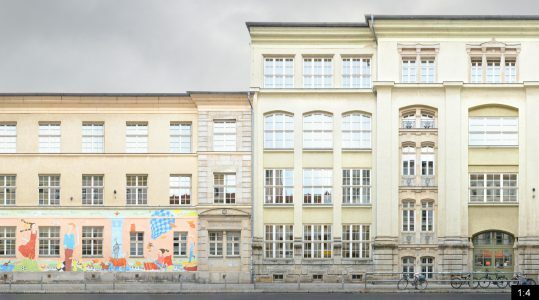 The Görlitzer Strasse in the Neustadt quarter of Dresden, here we see the east side between Seifhennersdorfer Strasse (left) and Louisenstrasse (right). The street dates back to the late 18th century and was first known as “Weiße Gasse” (white alley), then Waldgasse (forest alley) and has been renamed Görlitzer Strasse in 1882 (referring to the east saxon city Görlitz). 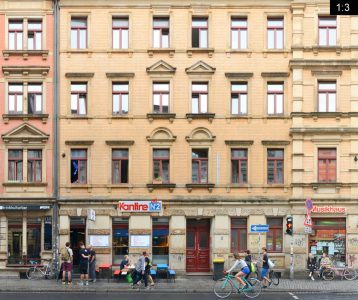 It is part of the Äußere (outer) Neustadt (Newtown) of Dresden, which, unlike the old town and the inner newtown, was less damaged during WWII. 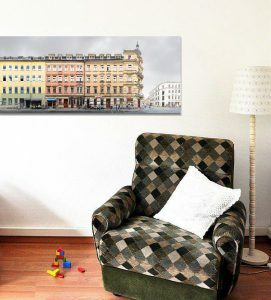 Hence we still see the historic buildings of Dresden. 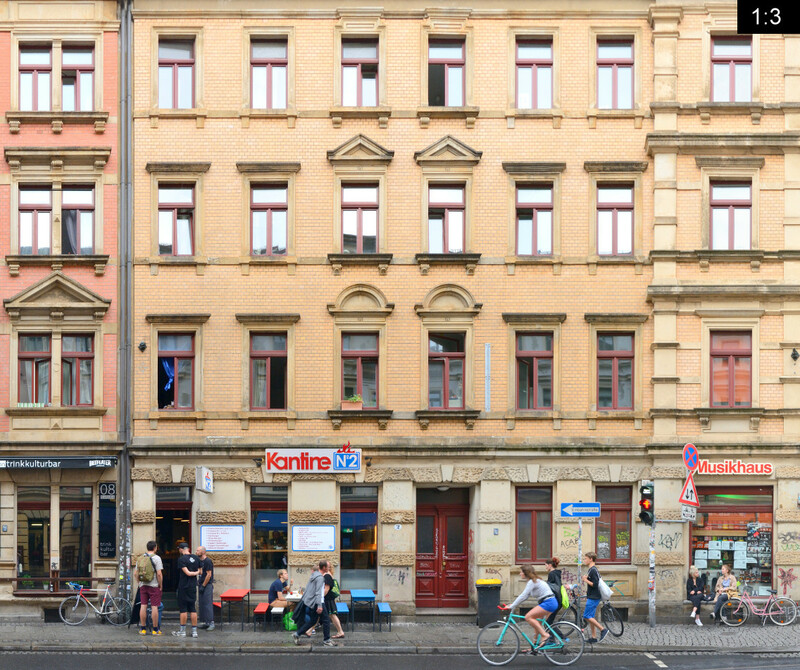 The Äußere Neustadt is the centre of Dresdens creative and alternative scene. This street front is dominated by the school building of Dresdens 15th primary school on the left (with the mural) and a row of historicism style buildings with bars and shops on the right. Amongst them are the cult cinema Thalia and the bar Blue Note.